She must be without fear if she wears those earrings to battle. Shouldn’t she be in the kitchen or on her knees? Whats Elton John doing with that sword? 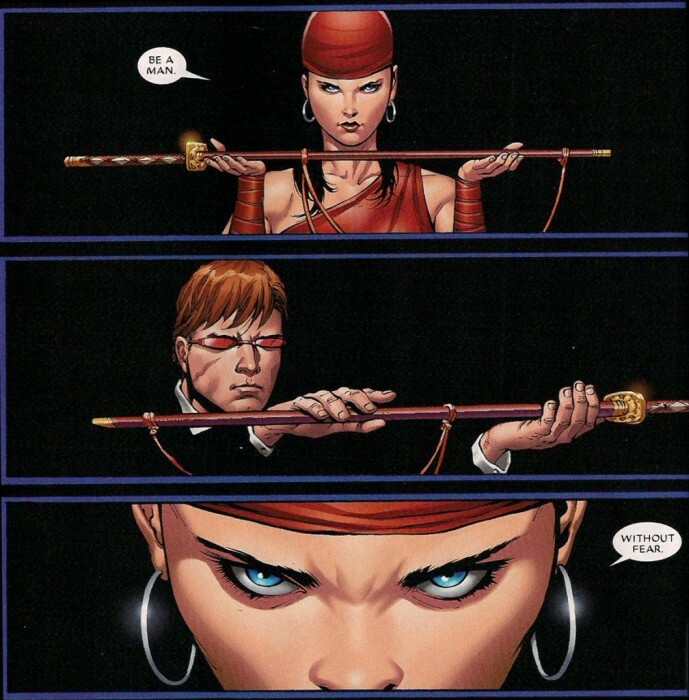 Why does Cyclops need a sword? The sword is made of eyes that shoot lasers.